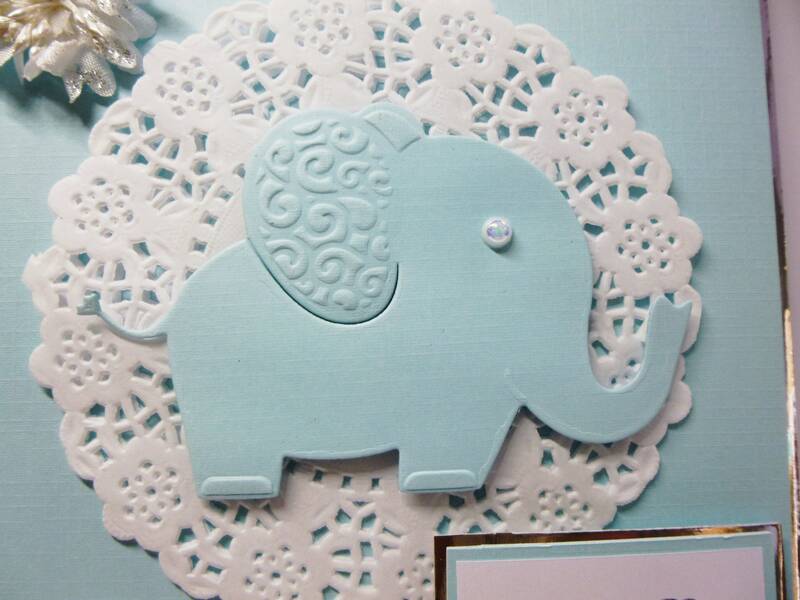 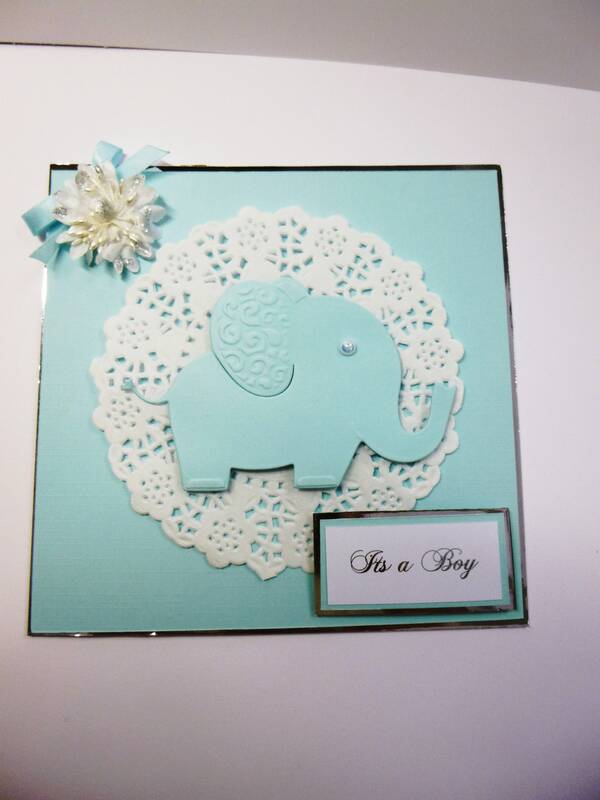 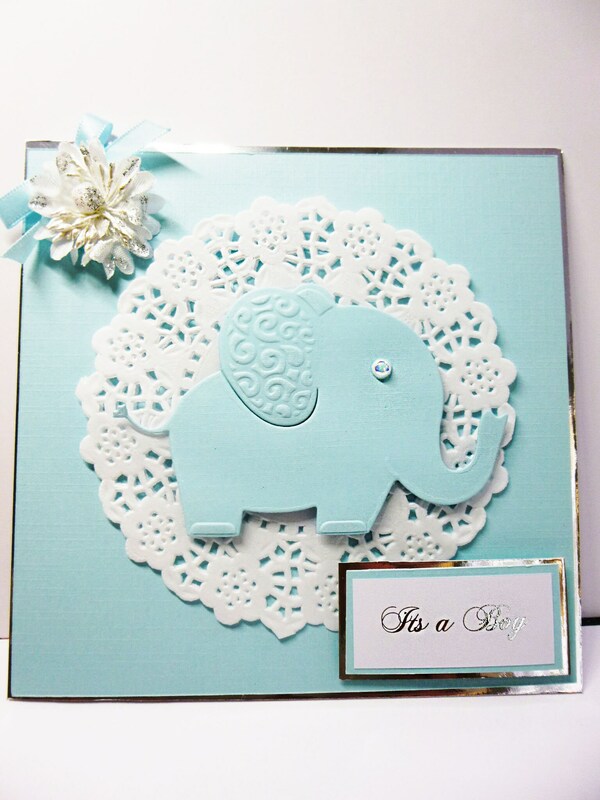 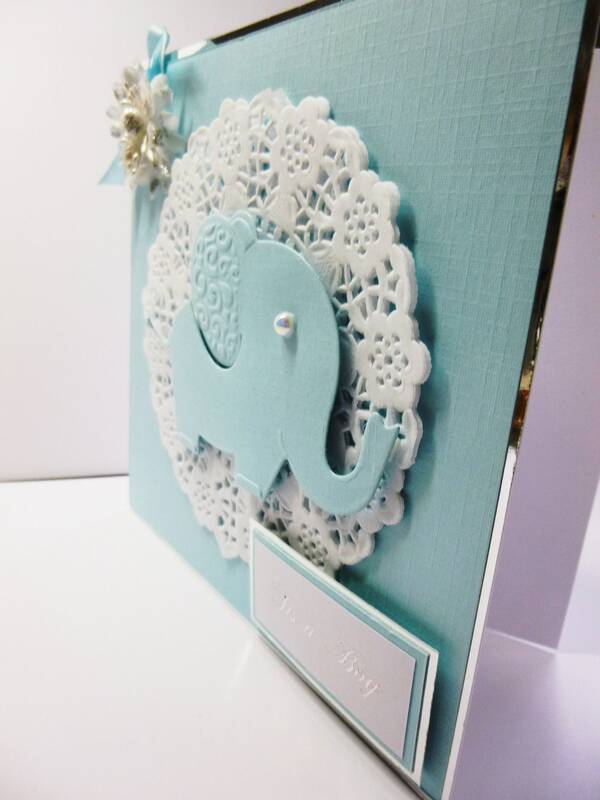 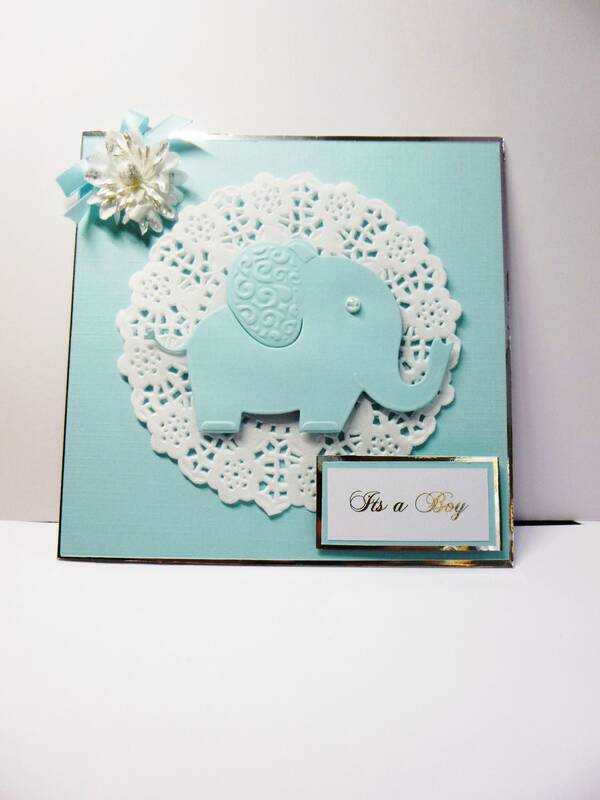 A very cute new arrival card for a boy, made from white base card, layered with silver card and blue card, in the top left hand corner is a small blue bow with a white flower, in the centre of the card are two white doilies and a blue die cut elephant in the centre of the doilies, a pearl embellishment for the eye. 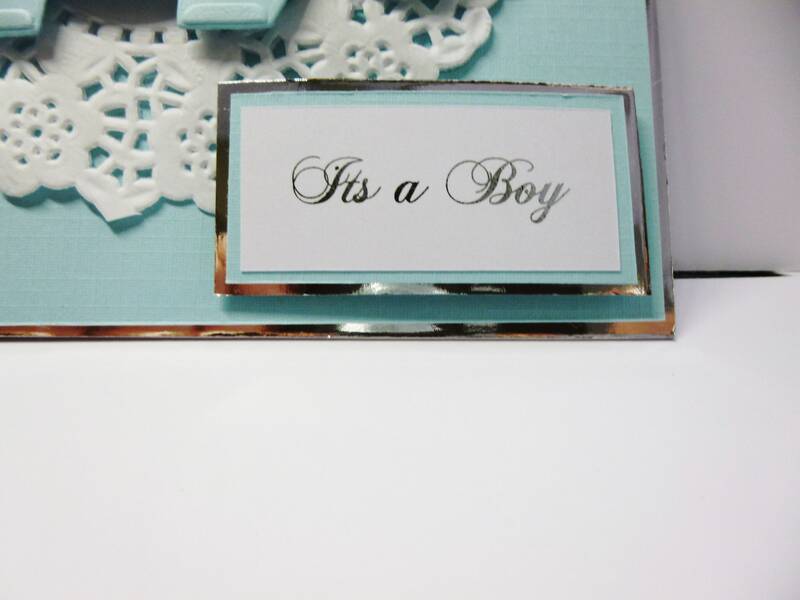 Below is a sentiment which says, 'Its A Boy'. 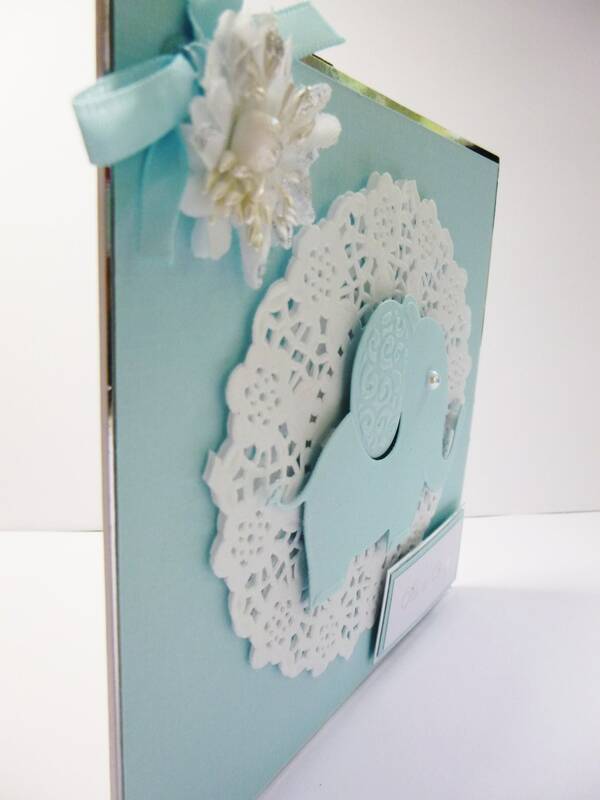 with laser printed writing and silver foiled. 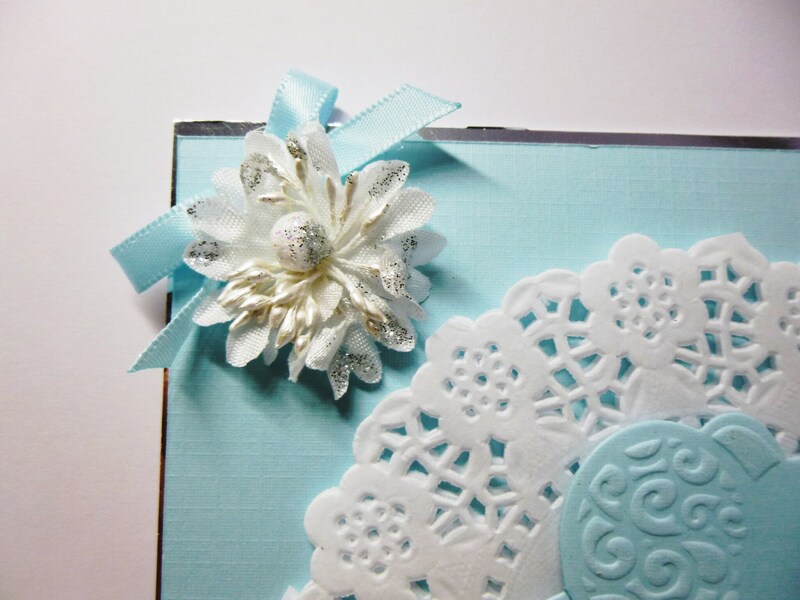 Inside the card is white plain paper for you to write your own personal message.